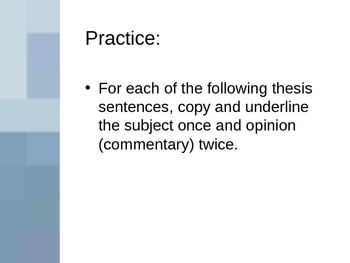 This is a PowerPoint presentation that teaches students how to write a proper thesis statement. 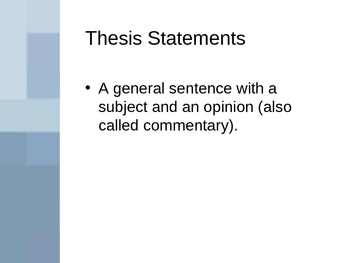 It describes what a thesis statement is and it's purpose. 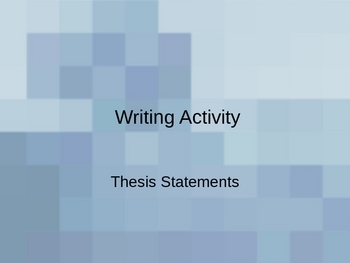 It also has activities to help in the process of developing a thesis statement. It can be used in all subject areas. In this particular lesson it shows how to write a thesis statement about the scientific method. 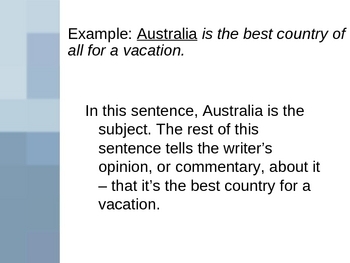 It can be easily adapted to show how to write about any topic in any class.